Milford Graves (b. 1941, Jamaica, Queens) is a percussionist, acupuncturist, herbalist, martial artist, programmer, and professor. A pioneer of free Jazz, Graves was a member of the New York Art Quartet, whose iconic first recording in 1964 featured LeRoi Jones (Amiri Baraka) reading his poem "Black Dada Nihilismus." In 1967, he played at John Coltrane’s funeral. A consummate autodidact with a syncretic approach, Graves invented a martial art form called Yara based on the movements of the Praying Mantis, African ritual dance, and Lindy Hop in 1972. Shortly thereafter, Graves joined the Black Music Division at Bennington College, where he taught for 39 years and is now Professor Emeritus. In 2000 he was awarded a Guggenheim Fellowship and began to study human heart vibrations to better understand music’s healing potential, and in 2015 he received the Doris Duke Foundation Impact Award. 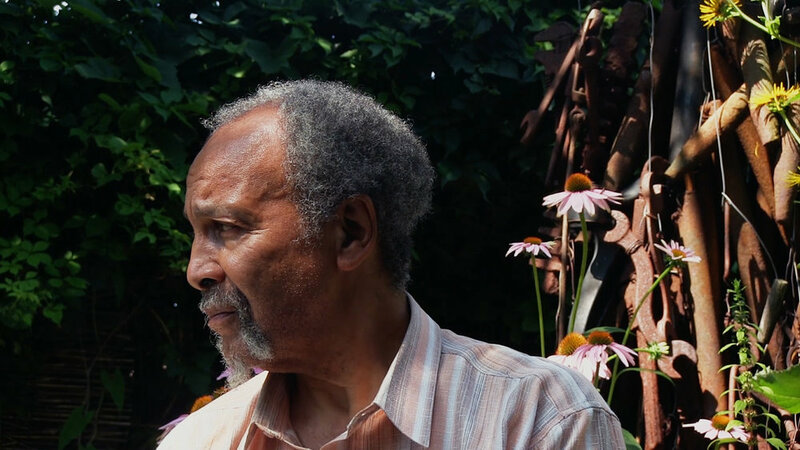 He is the subject of a critically acclaimed, feature-length documentary, Milford Graves Full Mantis (2018), directed by his former student, Jake Meginsky, with Neil Young. Additional notable recordings include In Concert At Yale University (with Don Pullen, 1966); Dialogue of the Drums (with Andrew Cyrille, 1974); Babi (1977); Meditation Among Us (1977); Real Deal (with David Murray, 1992); Grand Unification (1998); Beyond Quantum (with Anthony Braxton and William Parker, 2008); and Space/Time Redemption (with Bill Laswell, 2014). He continues to live and work in South Jamaica, Queens in the home that formerly belonged to his grandmother.